Whether you’re packing a picnic to hit the North Carolina Wine Trail or you’re planning the perfect party or office luncheon, our deli items make entertaining quick and easy. To build the perfect sandwich, layer Walnut Creek meats and cheeses between two layers of freshly baked Amish sourdough bread. 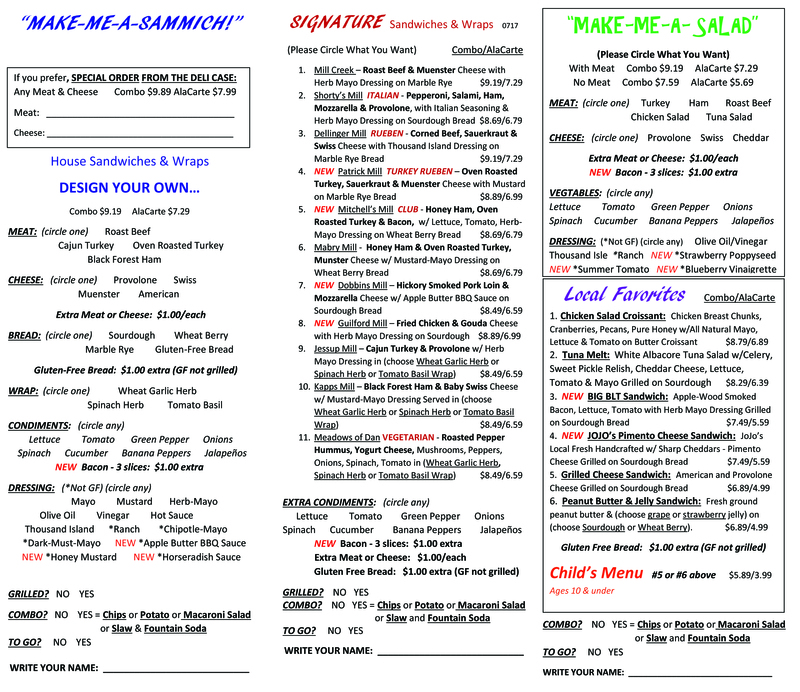 Slather on any of our delicious options of mustards or sauces to add the perfect one-of-a kind touch! Picnicking or party planning has never tasted so good! For your next gathering, choose from our selection of deli trays or snack platters. Top off your selections with Boylan cane sugar sodas and, perhaps, an order of Walnut Creek almond or fudge cookies for dessert! 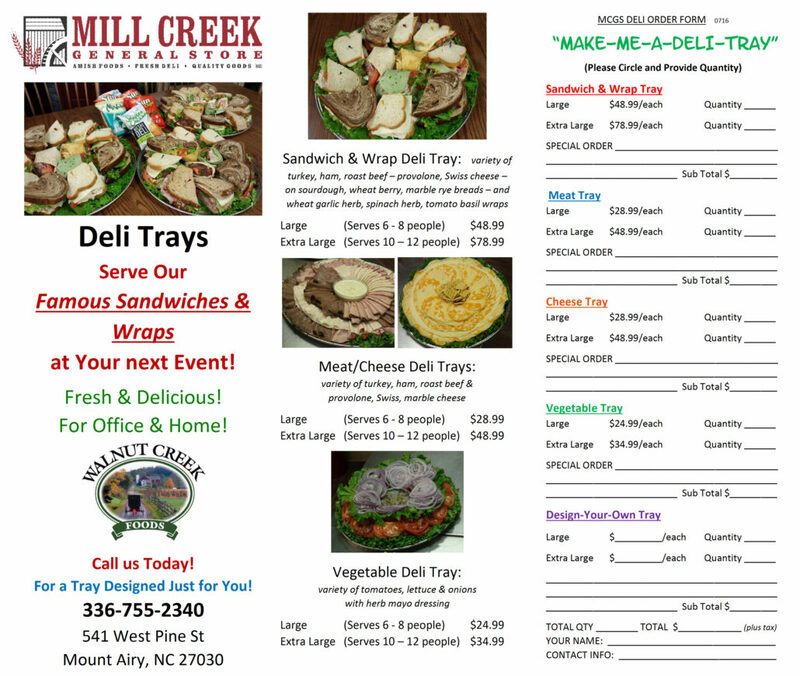 Let Mill Creek help make your next outing, party, or office function a breeze!